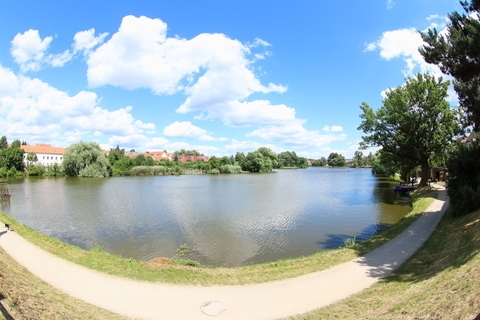 It’s a bit difficult not to image the Town Telc as a fairy town. The town square is one of the best in Europe, painted by the colorful historical houses in Italian renaissance style. A town surrounded by clean river. 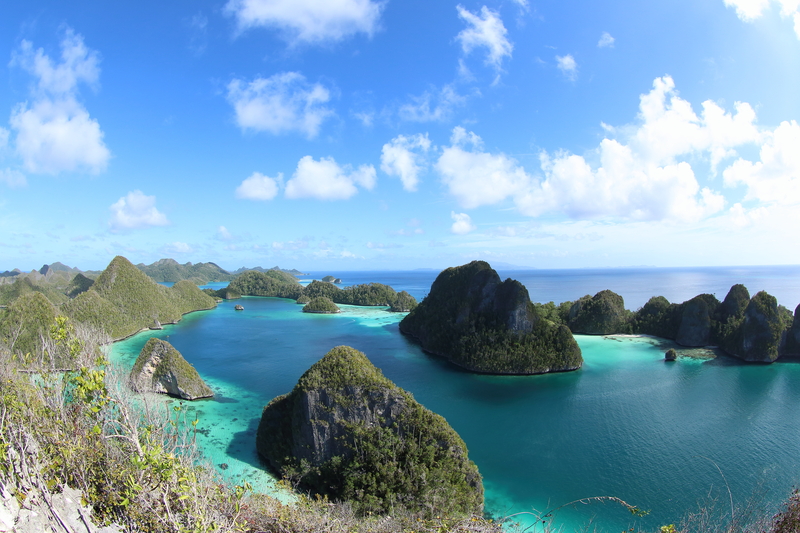 It deserves the honor as a UNESCO World Heritage Site. Telc is a town in South Moravia, Czech Republic. The town founded in 13th century as a royal water fort on the busy trade lane in Bohemia, Moravia and Austria. Originally the houses in Telc were just wooden houses. Later on, it’s been rebuilt after a devastating fire at the end of the 14th century. The castle fortifications then strengthened by the city gates and protective ponds systems surrounding the city. You will find such beautiful historic houses on the main square with its high gables. There are also restaurants and cafés other than the colorful houses on the town square. The best place to have a rest and enjoy your lunch while admiring the Italian renaissance style of the town. Tourists are coming from all around the world. Some of them coming over the weekend, stopped by on bicycle, or just spending their summer holiday. 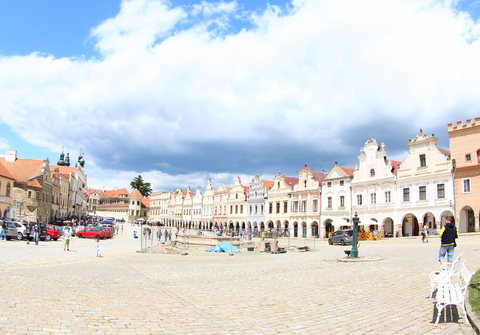 This town is one of the most romantic places in the Czech Republic and is a UNESCO World Heritage Site since 1992. A lovely white church (St. James Church) and a Marian Column add the magnificence of the town square. 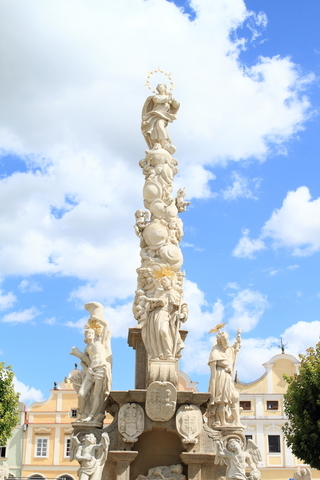 The column has been here since the 18th century (1716-1720). David Lipart, a famous sculptor was the designer of the column. The appearance of the chic city demonstrates how competitive is the inhabitants of the city. They’re showing up the wealth and the social status with the elegance and the size of the gables of their houses. The beauty of the houses is incomparable. Each house is magnificent in its own way. Even so, the houses look harmonious as a complex of a long urban plaza. Some of the houses present a form of decoration made by scratching through the wall’s surface to reveal a lower layer of a contrasting color, aka Sgrafitti. 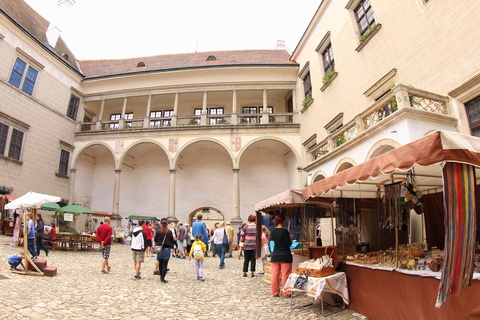 It’s a must visit in Telc Town. 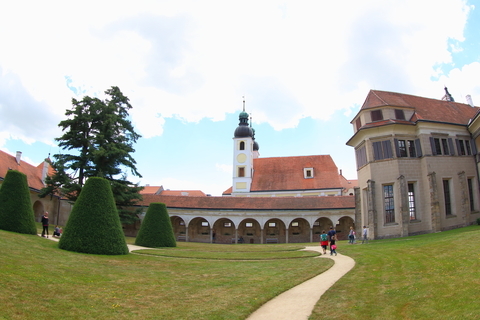 One of the Moravian gems of Renaissance architecture. Originally the castle is a Gothic Castle, but then it didn’t satisfy the nobleman Zachariáš from Hradec who were traveling to Genoa. The trip left a big impression for him of the Renaissance charm, which motivated him to alter Telc Castle to a Renaissance Castle. It’s quite common to alter the style of a castle at that time to follow the modern style at the moment. One of a preserved castle in the Czech Republic, which has an original Gothic style is Bezdez Castle. As a result the castle is also known as The King of All Castles in Czech Republic. 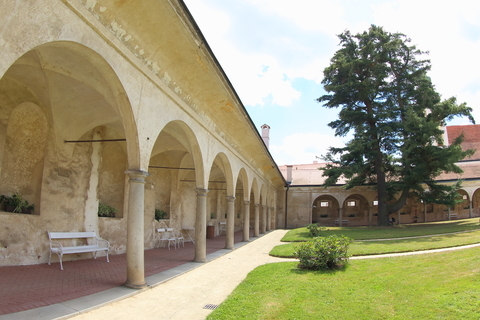 Thanks to care of the owners, the original interiors, which reflect the Italian art have been preserved in the chateau. You will find precious carvings in the panels of the covered ceilings in the Golden Hall. While in the Knight’s Hall and African Hall you will find peculiar trophies, which will amaze you and your kids. 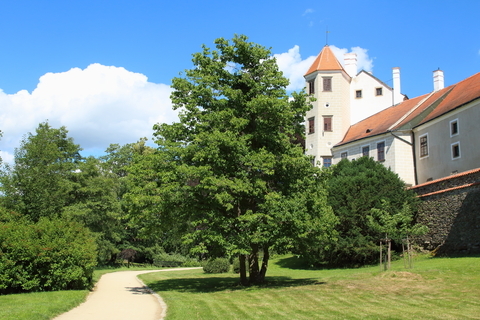 Another castle, near by Telc, which is worth visit is Jindřichův Hradec castle . The name of the castle is just like the name of the city where you can find it. You can make both trip in one day, as I did. 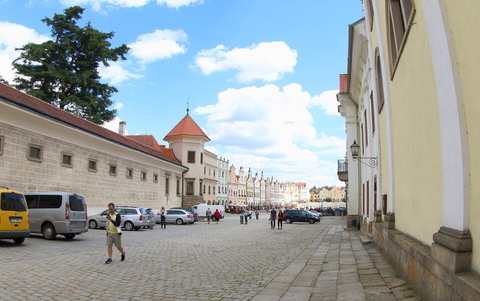 Telc is around 150 km from the capital city of Czech republic, Prague. The fastest way is for sure with private car. The travel will take around 1 and a half to 2 hours, depending on the day you are traveling and the traffic. Based on Google maps, the only public transport that is going from Prague to Telc is Regio jet. The bus is going via Brno or České Budějovice. The bus takes around 5 hours and the round-trip ticket is for 670 CZK (25.60 EUR). The price may change by the time. Please check it on their website Regio jet. 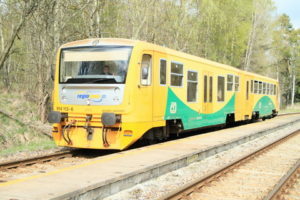 It is also possible to travel to Telc by train from Prague Main Station Hlavni Nadrazi. 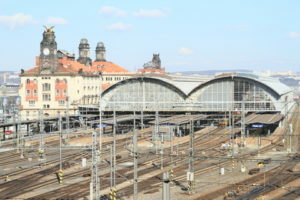 You will spend less travel time by train, which is around 3h 45m. What interesting is the travel cost is also cheaper compare to the bus. The ticket is available online. I recommend the local website IDOS, the web is in English, Czech and German. Avoid the main square for cheaper food and drinks. But in my opinion, it’s worth it to spend the time at the town square and enjoying the multi-colored houses. 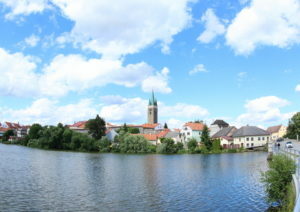 Here are more photos from Telc. All of the photos in this article is available at dreamstime.com if you are interested to buy. Just click on the photos and you will be redirected to the page. Your English is just good enough. I am not a native speaker either and your blog is great and full of information. Thank you so much Vaclav.